Where previously authors would typically assign rights in a scholarly work to an academic publisher, the open access movement has prompted a shift towards retention of rights and the use of creative commons licenses to control how works are used by publishers. This shift has the support of research funders, whose policies seek to ensure the widest possible readership. Francis Dodds suggests that whilst publishers have adapted with some success to a new OA environment and its contractual framework, researchers have proved more ambivalent to the changes. The fact that researchers are divided in their views about OA, and the merits of permitting varying degrees of reuse of their work, has contributed to limiting the spread of OA publication, which remains only a modest percentage of the overall market. The traditional contractual model in academic publishing has been for the author to assign rights in a work to a publisher to exploit for their mutual benefit. Whilst alternatives to the model of assignment have always existed, perhaps the most important recent trend in this area has been the open access (OA) movement. This has prompted a shift towards retention of rights in a work by the author, and towards granting a license by the author controlling the publisher’s use of a work. This reflects the moves by funding bodies and others to exercise greater control over the research they sponsor to ensure the widest possible readership. As an example, one of the major funders of science research in the UK, the Wellcome Trust, states its support for “unrestricted access to the published output of research as a fundamental part of its charitable mission and as a public benefit to be encouraged wherever possible”. This policy is enforced, for example, by requiring all published research funded in whole or in part by the Trust to be made freely available on the OA platforms PubMedCentral or Europe PMC. These policies are consistent with both main OA models: “green” OA where published work can be made freely available after an embargo period (e.g. six months), and “gold” OA where published work is made immediately available, with the cost of publishing typically covered by an article processing charge (APC) (sometimes waived in individual cases). CC Attribution 4.0 International (CC BY): the most permissive license model, allowing copying, redistribution, adaptation and commercial as well as non-commercial reuse. CC Attribution-NonCommercial-NoDerivatives 4.0 International (CC BY-NC-ND): the most restrictive license model, allowing copying and redistribution but restricting adaptation and commercial use. Other types of OA license, such as the Scholarly Communication License, developed by senior university librarians and academics in the UK as a standard agreement to supersede more restrictive terms offered by publishers, follow this model. Over time, publishers have adapted to these pressures for greater freedom of access to and circulation of research by ceding some of the intellectual property rights they have traditionally exercised in standard assignment agreements. This process has ranged from allowing some limited free use of material in publishers’ copyrighted works by other researchers, through to allowing authors greater freedom to reuse material from their previous publications in new works for other publishers. On occasions, the industry has had to highlight how far publishers have moved in this respect in the face of accusations of restricting author freedom. Reflecting the OA requirements of funding bodies and others, many academic publishers also now have policies recognising the right of authors to post versions of works (typically the accepted article prior to production) in institutional repositories for others to access freely. Most recently the STM has allowed a further loosening of copyright by agreeing a policy permitting limited circulation of published journal articles within scholarly collaboration networks (SCNs), whether or not they are covered by OA licenses. Perhaps most importantly, publishers have also now enthusiastically adopted gold OA publishing models in which institutions pay APCs to cover publishing costs and articles are made freely available under the terms of one of the CC licenses. Whilst publishers have adapted with some success to a new OA environment and the new contractual framework on which it depends, researchers themselves have had more ambivalent reactions to these changes. One recent study suggests that, whilst most researchers agree publishers’ copyright should be respected, opinion is divided over whether publisher terms are fair or unfair, with over 40% feeling copyright policies are restrictive. Other research suggests that up to 49% of researchers assign copyright reluctantly because they feel they have little choice. A recent analysis discusses the tension between “scholarly” and “academic” cultures and the resulting ambivalence in academics’ attitudes to ceding copyright to publishers. Image credit: Rise of the fashion trolls by opensource.com. This work is licensed under a CC BY-SA 2.0 license. However, in many cases, researchers continue to agree to standard assignment terms offered by publishers without fully investigating or understanding them. A senior academic in the UK has commented: “I do wish that researchers would take more interest in the conditions of knowledge production and dissemination in the academy. Most researchers I know never really even read or query the contracts they are given by publishers”. His comments are supported by a recent study that found “a high degree of confusion and uncertainty related to copyright”. Studies suggest that researchers still value journal reputation, target audience, quality of peer review, and impact over whether a journal is OA, with a similar picture for monographs. Many also show a limited interest in depositing their work in an institutional repository to allow wider access, a key element in OA. Recent studies show that even early career researchers (under 35), who might have been thought to be more open to change, remain relatively conservative in their attitudes. Moreover, many researchers are concerned to protect the integrity of their work by restricting its potential use by others. Some studies suggest that many academics across both the sciences and humanities are opposed to commercial reuse, adaptations or inclusion of their work in anthologies (a particular aspect of humanities publishing), whilst there are mixed views about allowing data mining of their work. An example of these contrasting views is the bioRxiv site which hosts preprint papers in biology. 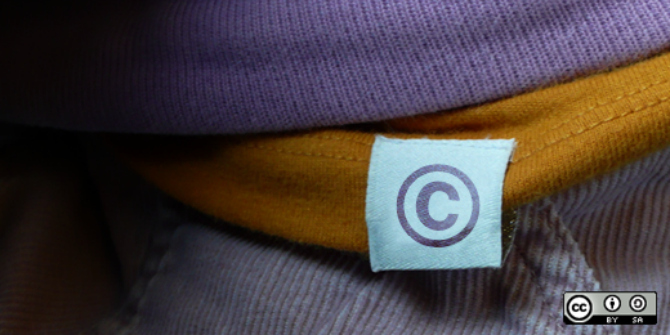 A study of the site by Lindsay McKenzie (2017) found that over a third of authors had selected the most restrictive Creative Commons (CC BY-NC-ND) license, which bars commercial use and “derivative” works, including translations and annotations. Another 29% had not selected any license which, by default, reserved all rights in the work, requiring permission from the author for copying and reuse. It is noticeable that the Scholarly Communications License has been criticised by both publishers and academics as being too inflexible. An increase in the global proportion of gold OA articles from 12% in 2012 to 19% in 2016 (but with a declining rate of growth between 2014 and 2016). An increase from 19% in 2014 to 38% in 2016 in the global proportion of articles available (in preprint or published form) on green OA terms within 24 months. An overall global percentage in 2016 of 32% of published articles either freely available immediately via gold OA or after 12 months under green OA terms. Whilst there is growth, this situation still leaves the majority of articles published through conventional subscription-based channels and presumably, in many cases, with standard assignment agreements. These figures also suggest many articles are still not being deposited in institutional repositories, a picture confirmed by other research (e.g. Lovett et al., 2017; and Borrego, 2017). It remains to be seen if these attitudes will change and accelerate the move to the full open access future dreamed of by many. This blog post is based on the author’s article, “The changing copyright landscape in academic publishing”, published in Learned Publishing (DOI: 10.1002/leap.1157). Francis Dodds is Editorial Director at Burleigh Dodds Science Publishing, based in Cambridge. He was previously Editorial Director at Woodhead Publishing and has worked in publishing for over 30 years, mainly in academic publishing. He has a first-class degree in History from the University of Oxford. His ORCID iD is: 0000-0002-9562-6713.